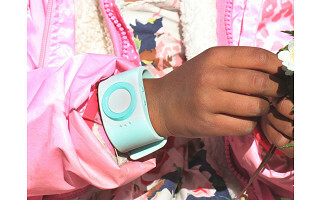 Tinitell is a kids’ watch phone that might look like the grown-up versions, but it’s scaled all the way down to be easy for kids to use. The simplified technology lets kids call up to 12 contacts that their parents choose. To make a call, kids can scroll through the list. Monthly cell service is provided through Ting (for a separate fee). Parents can keep an eye on calls through the companion app. And because the phone is GPS-enabled, they can keep tabs on their kids’ location in real-time, too. 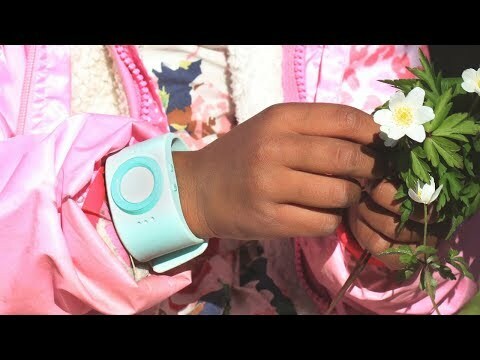 Tinitell gives kids a measure of independence while parents gain extra peace of mind. Does the GPS inside of the Tinitell work even when the phone is not charged? Unfortunately, that technology doesn't exist. The GPS needs battery power to operate. Could a parent track a phone's GPS even if out of network? Great question. The parent's smartphone app requests Tinitell's location on-demand via the cellular network. If Tinitell is out of coverage it won't be able to receive the location request and subsequently won't be able to know that "the parent" wants to know where Tinitell is. Furthermore, it wouldn't be able to send it's location as it lacks cell coverage. Can kids make calls/receive calls while abroad? Yes. Tinitell works anywhere in the world (where there is 2G coverage.. which is 99% of the world). Does Tinitell work on 3G/4G/LTE? Tinitell does not work on 3G/4G/LTE. Tinitell is supported only by 2G networks, due to its 2G chipset. Tinitell uses data in order to send GPS details over to the smartphone app on the parent's phone. In order to use Tinitell you will need to buy a SIM card that includes both credit for calls and data. Tinitell uses around 100 MB data / month. Hello everyone! I'm proud to introduce Tinitell to The Grommet. I'd be happy to answer any questions you have! You must mean "Talk time > 1 hour (typical)" and "Battery life > 3 days (typical)"
@Nick Hey Nick! Thanks for the question! We actually mean "maximum one hour for continuous calls' and 'maximum 3 days for normal usage: app checks for GPS updates and calls from time to time'. Let me know if you want to find out more about Tinitell. @Nick Thanks for the feedback, Nick! I'll definitely pass this on to our team! @Melissa Hi Melissa! Yes, it does tell time! Thank you for asking! When you press the minus (-) button, Tinitell will say the time out loud and show the hour and minutes with LED lights. Not just great for kids, but the elderly as well! @Michael Thank you for joining, Michael! Yes, it can be a good fit. However, Tinitell is designed for kids and it may not fit an adult. Would this be a good tool for children who have Autism? @Christina Hi Christina! Thank you for the question! Yes, Tinitell is a good tool for kids who have Autism. We do have customers who've mentioned that their kids have Autism and this has helped bring peace of mind to the parents and more confidence to their kids. Do you have to use Ting or can you use your own provider? @Susan Hi Susan! You can use the SIM card we provide - from Ting - or swap that for a T-Mobile SIM card. Tinitell will only work with these two networks in the US. But we totally recommend using Ting, especially with the 3 months free service offer. What is the coverage with your SIM card? TMobile is not great where I would like to use this product - in Bluffdale, Texas. Is the monthly plan fee per device or family or parent app? @Sara Hi Sara! The monthly fee ($9 with Ting) is for the Tinitell SIM card only. There's no additional fee for the parent app - you'll use that on your own smartphone (iOS or Android, free for download). What's the SAR level on these phones? Radiation is a concern for me, esp for kids. @Adele Hi Adele! Thank you for asking! Tinitell is FCC certified and the SAR level is very low since the product itself is so small. The SAR value for body (FCC) is 1.54 W/kg over a maximum of 1.6 W/kg. Please let me know if you have more questions and I'll gladly answer! I am considering purchasing for the main purpose of tracking my child when at the park with our nanny while we are at work. Is there a feature that notifies us the parents through the app that the watch has been removed or any other deterrence making it difficult to remove the watch? @andrew Hi Andrew! That's a good use for Tinitell. However, Tinitell will not notify the parent if it's removed. The best part is that it looks like a watch and people won't tell it has GPS capabilities or that it's a cell phone just by looking at it. 1) The # of contacts is limited to 12. Is it possible to call more than that? 2) As for receiving calls, can the phone receive calls from non-contacts? If so, is there a way to block calls for the growing number of spam calls coming to cell phones? 3) Is the device waterproof? water-resistant? @Linda Hi Linda! Thank you for the questions! 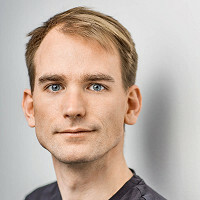 1) Tinitell can make and receive calls to 12 phone numbers saved as contacts theough the Tinitell app. 2) You can block calls from unknown phone numbers in the Tinitell app. This way you'll avoid any unwanted calls or pranks. 3) Tinitell is water-splash resistant, IPx4. It can resist splashes, but can't be fully submerged under water. How large is the wristband? Can it be changed out to accommodate a special needs teenager or an elderly person? @Martin Hi Martin! The wristband can be fitted somewhere in between 16.5 and 22.5 cm. We're all wearing them in the office, so it might work for your needs as well. However, Tinitell is designed for kids and it may not fit any adult. Could it be used while traveling overseas? @Sherry Hi Sherry! Yes, it can be used almost everywhere in the world as long as there's network coverage since it's a cell phone. Depending on where you'll be travelling, roaming charges may apply. 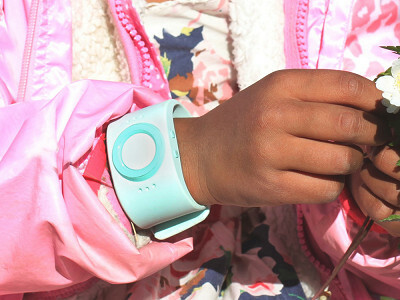 Tinitell is a kids’ watch phone that might look like the grown-up versions, but it’s scaled all the way down to be easy for kids to use. The simplified technology lets kids call up to 12 contacts that their parents choose. To make a call, kids can scroll through the list. Monthly cell service is provided through Ting (for a separate fee). Parents can keep an eye on calls through the companion app. And because the phone is GPS-enabled, they can keep tabs on their kids’ location in real-time, too.